Here are the Scottish Terriers currently available. 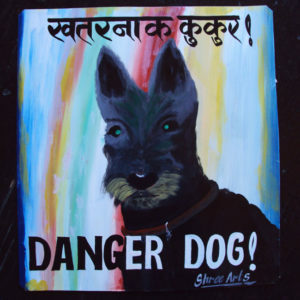 Baba hand painted this portrait of Dr. Watson the black Scottish Terrier. 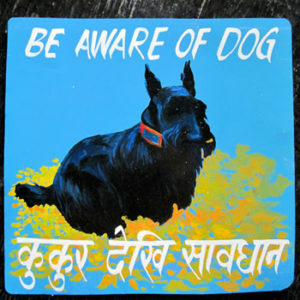 Nice portrait of a Scottie. Available at www.NomadCambridge.com. 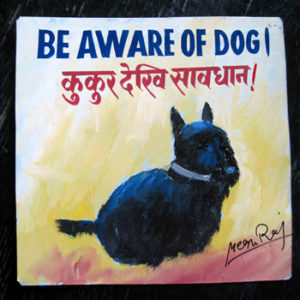 Megh Raj Thapa painted this portrait of the black Scottish Terrier, Dr. Watson. 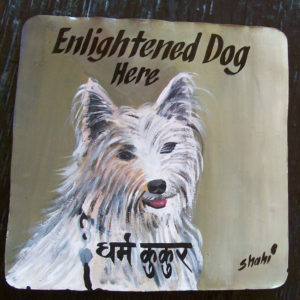 This is available through the store Nomad in Cambridge. 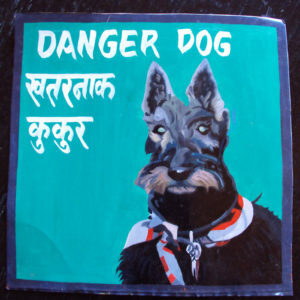 Mollie the Scottish Terrier is very dapper here in her scarf and pretty green background. 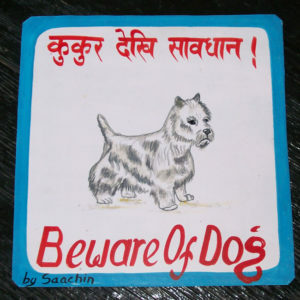 This is a very naive portrait of Dr. Watson by Megh Raj Thapa. 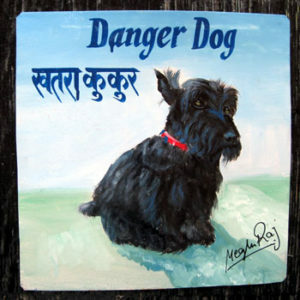 Dr. Watson is a handsome Scottish Terrier in his dignified portrait by Nara of Asha Arts. That bright blue background brings out the best and the orange leaves are icing on the cake. 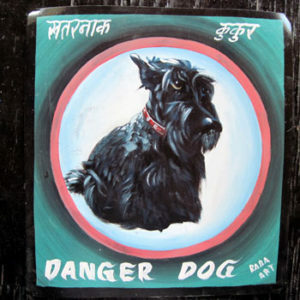 This cute Scottish Terrier was painted by Shahi in Pokhara, Nepal.